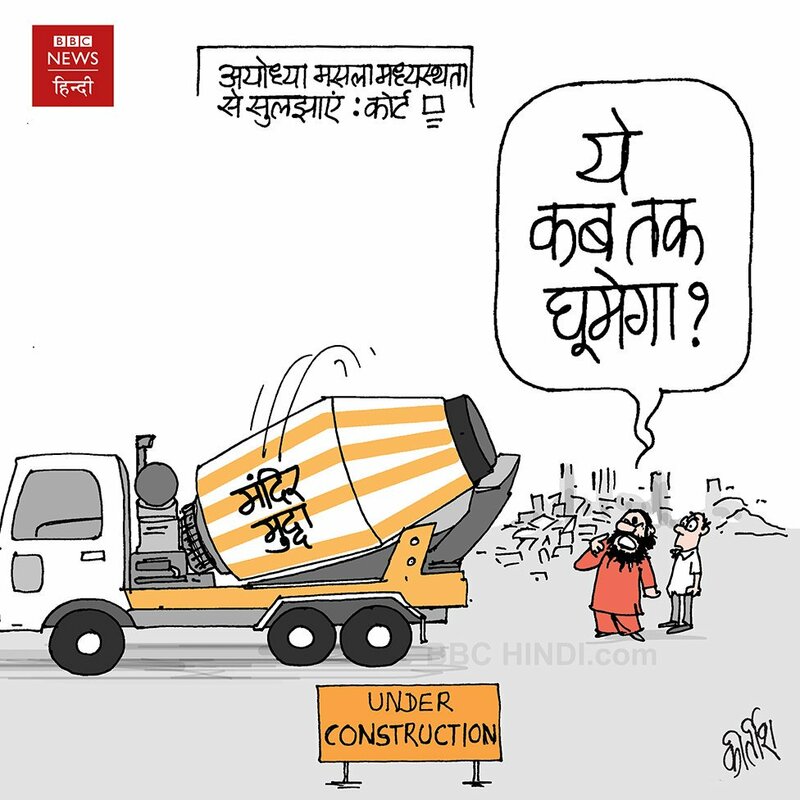 With the Supreme Court ordering mediation to resolve the Babri Masjid dispute in Ayodhya, Kirtish Bhatt takes a jibe at the protracted nature of the issue. 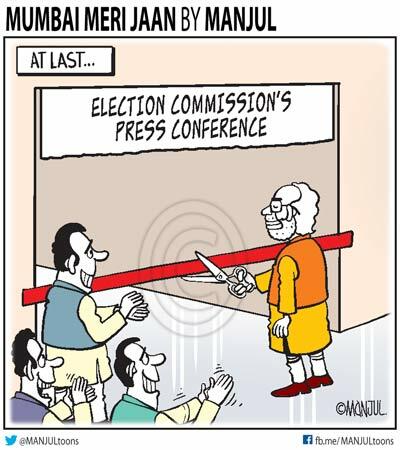 Manjul for Firstpost takes a dig at the Election Commission over what many perceive as the delayed announcement of the Lok Sabha elections. 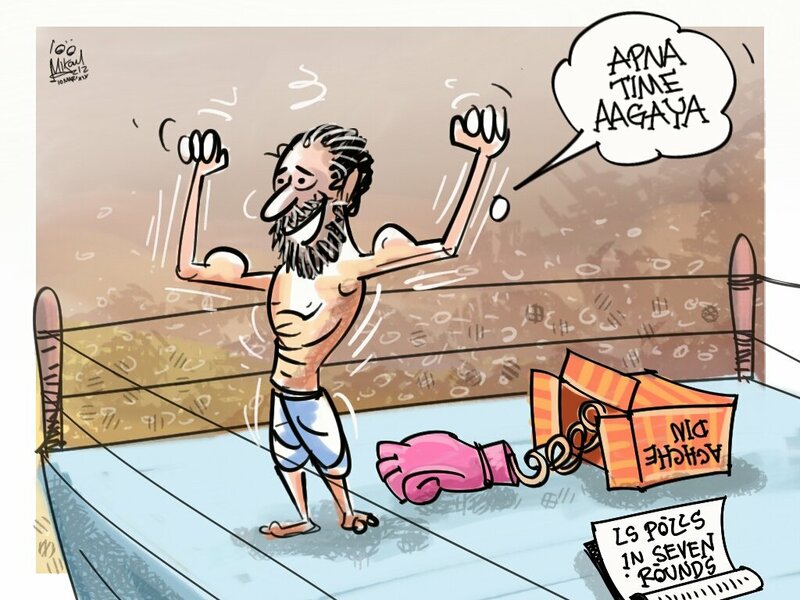 With the Election Commission of India announcing a seven-phase Lok Sabha polls, Mika Aziz alludes to the ‘Gullyboy’ catch-phrase ‘Apna Time Ayega (my turn is yet to come)’, to suggest that the common man’s time has finally come. 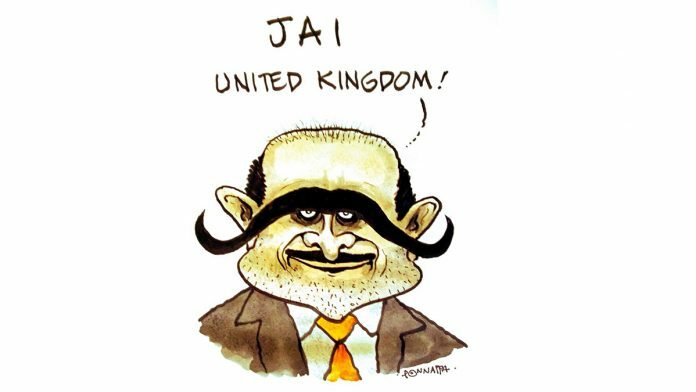 Sajith Kumar takes a jibe at the Indian government’s inaction against absconding diamantaire Nirav Modi, whom The Telegraph tracked down in London. 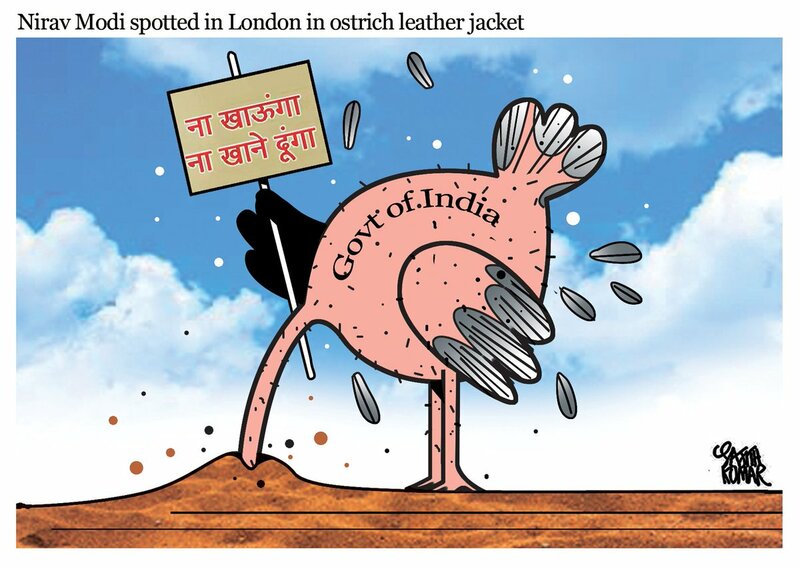 He was spotted wearing an Ostrich hide jacket. Sandeep Adhwaryu for The Times of India has his take on the Nirav Modi controversy. 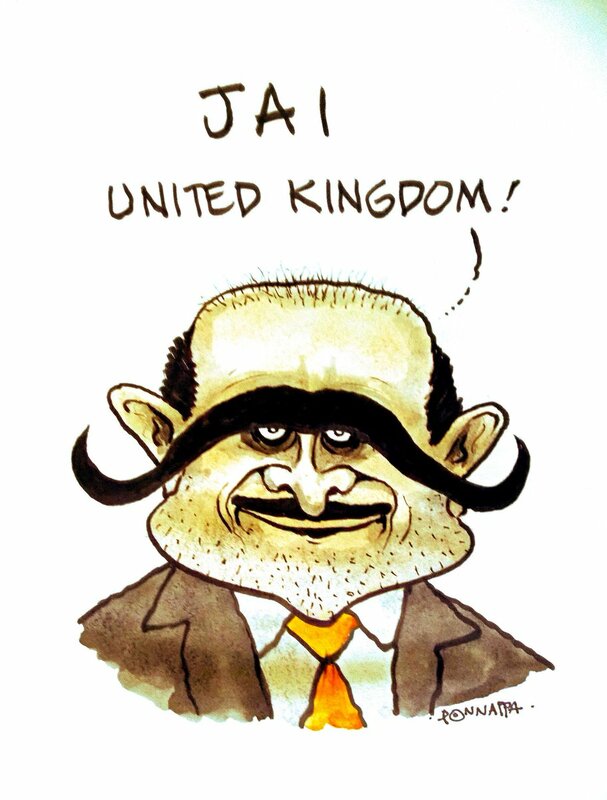 Nala Ponnappa takes a potshot at the Modi government failing to extradite Nirav Modi, juxtaposing it with the moustache made famous by Wing Commander Abhinandan.